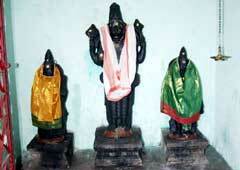 The temple is praised in the Thevaram and Tiruvasagam hymns of saints Appar, Sambandar, Sundarar and Manickavasagar. 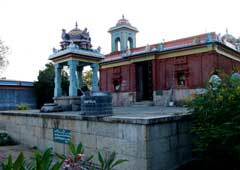 This is the 33rd Shiva temple on the southern bank of Cauvery praised in the hymns. 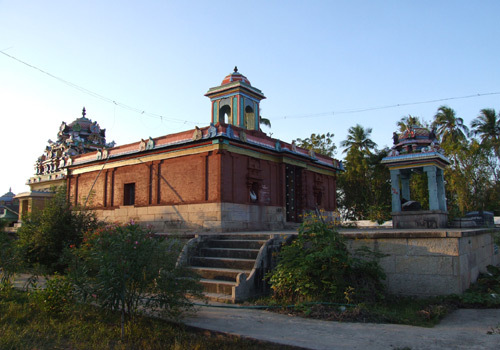 Maha Shivrathri in February-March; Purattasi Navarathri in September-October; Aipasi Annabishekam in October-November; and all important festivals dedicated to Lord Shiva are celebrated in the temple. 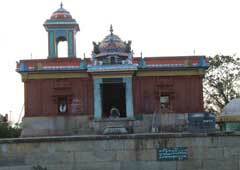 The temple is open from 7.00 a.m. to 12.00 a.m. and from 3.00 p.m. to 8.00 p.m.
Sri Vaigalnathar Temple, Vaigal Madakoil, Aduthurai-612 101, Nagapattinam district. 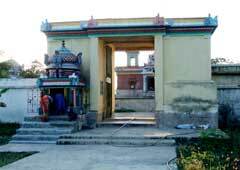 The devotee may offer what he/she could to continue the pujas. One elephant, searching for its calf damaged an anthill of ants. They bit the elephant and killed it. 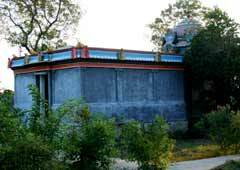 Both prayed to Lord Shiva and attained salvation here. 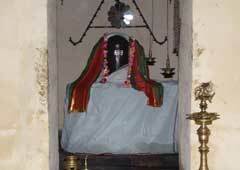 Lord Shiva is a swayambumurthy in the temple. 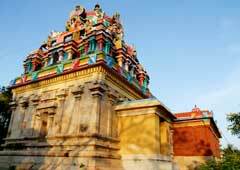 The temple is 18 km from Kumbakonam on the Karaikal route. 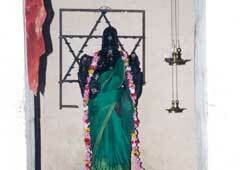 The devotee has to get down at Pazhinjanallur bus stop. 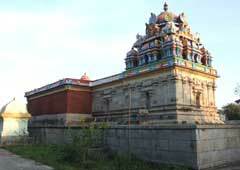 The temple is 1 km from here southward.